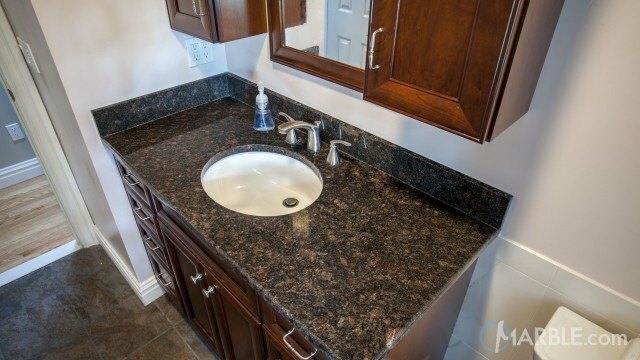 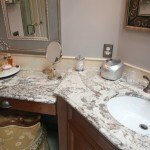 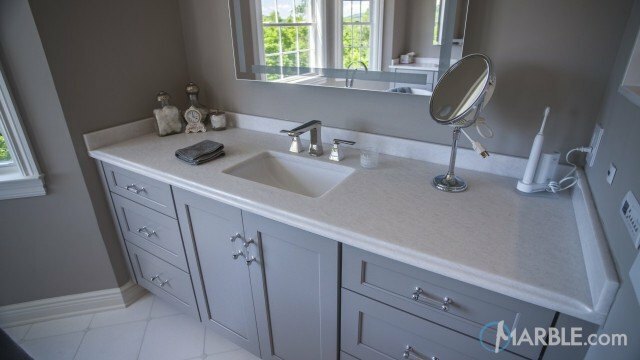 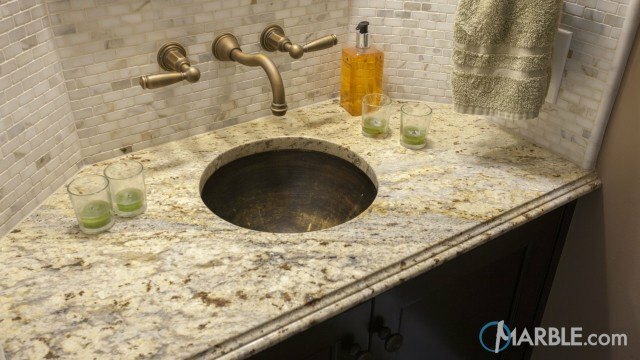 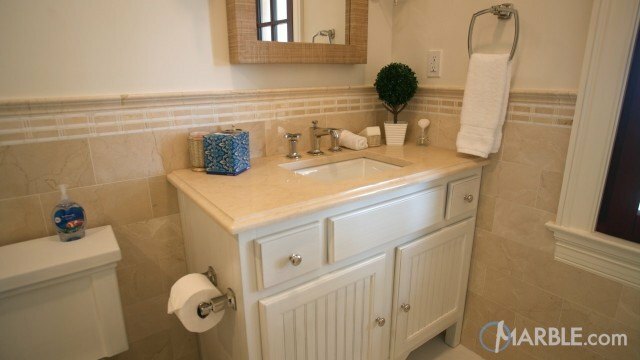 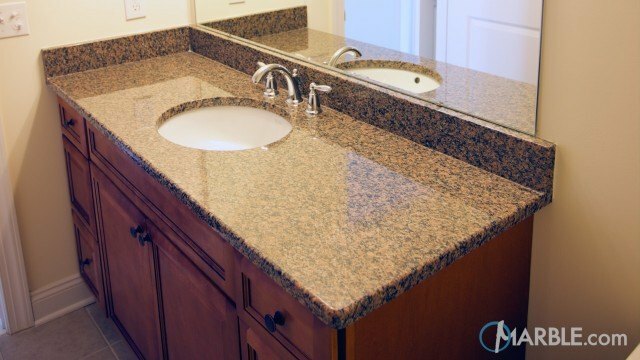 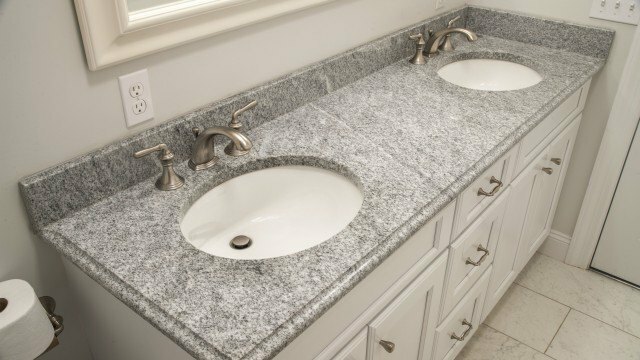 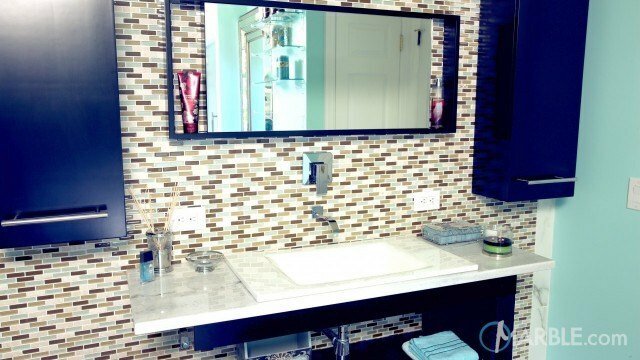 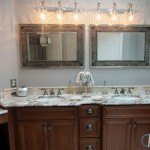 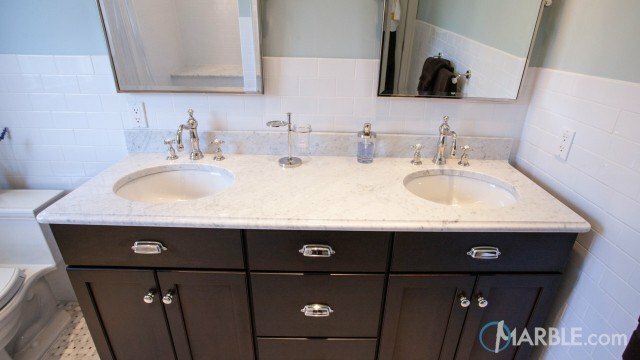 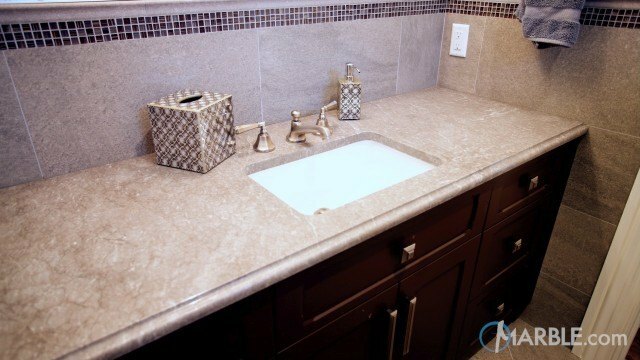 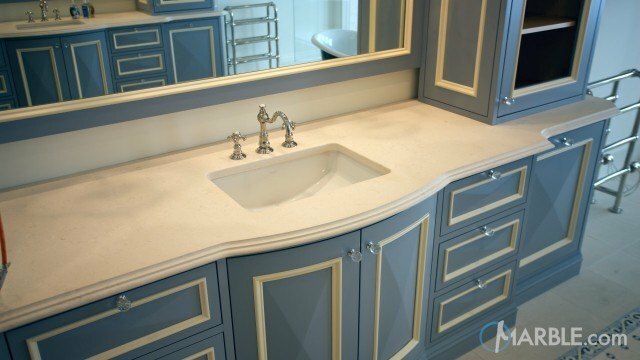 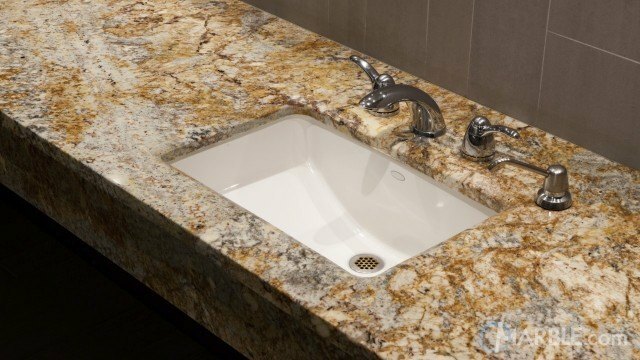 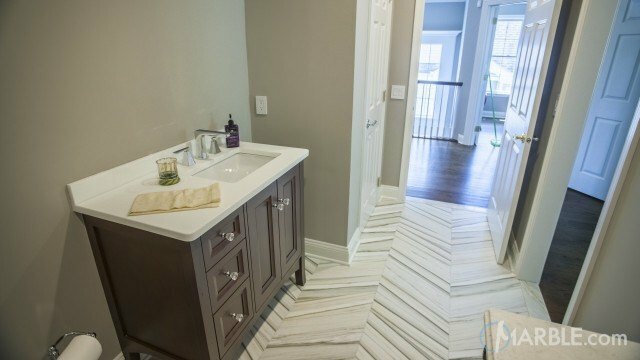 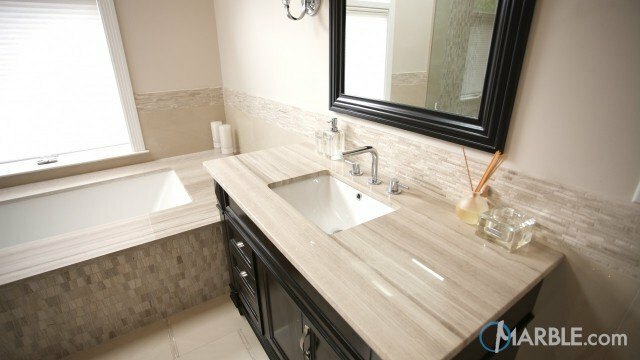 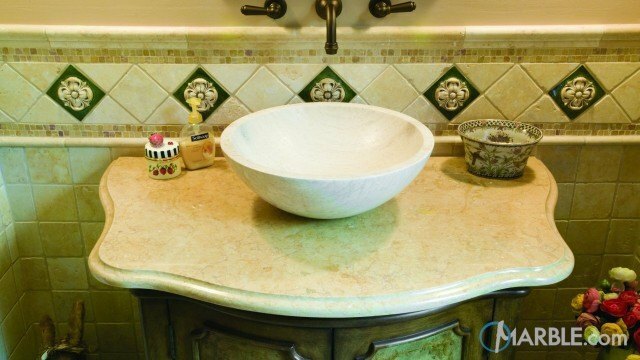 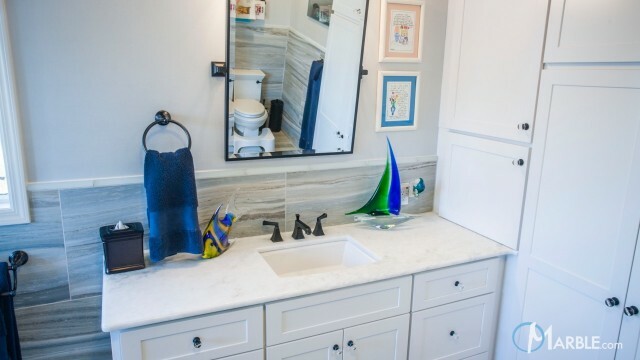 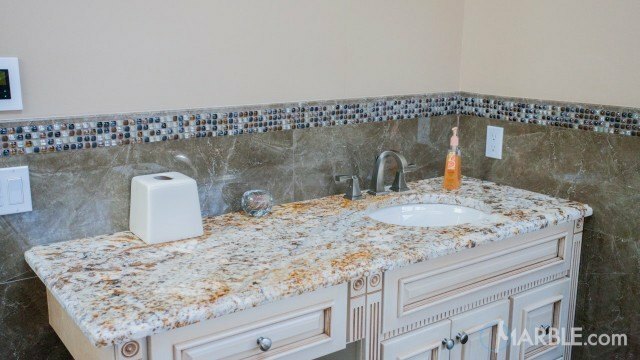 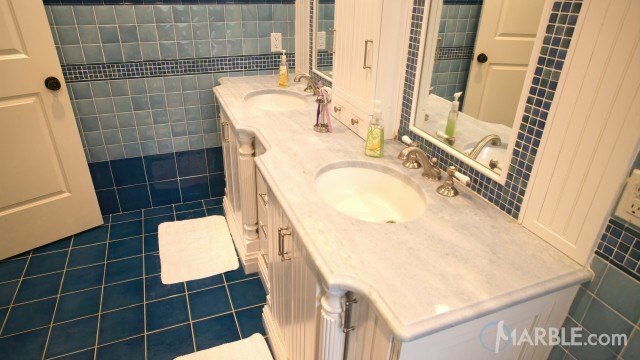 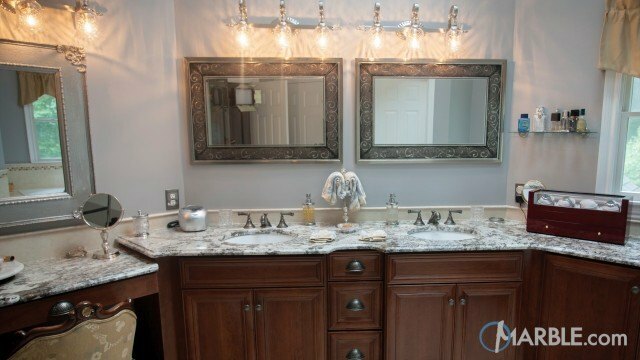 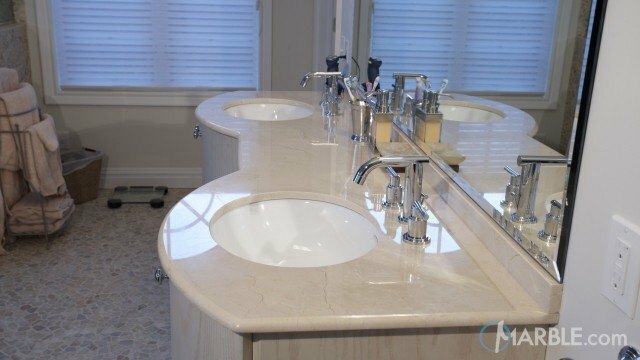 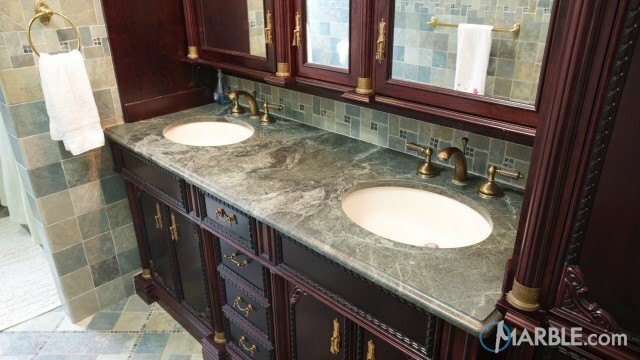 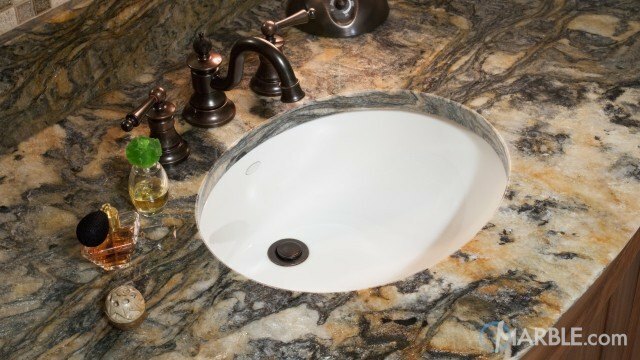 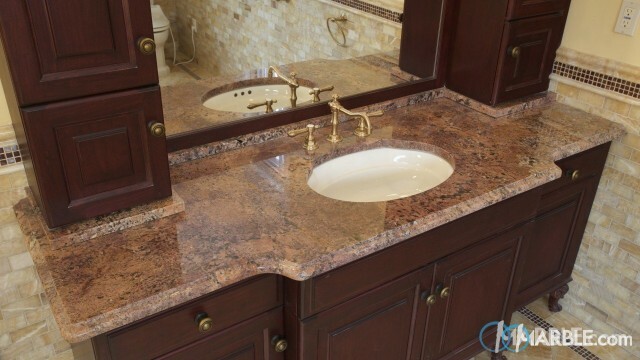 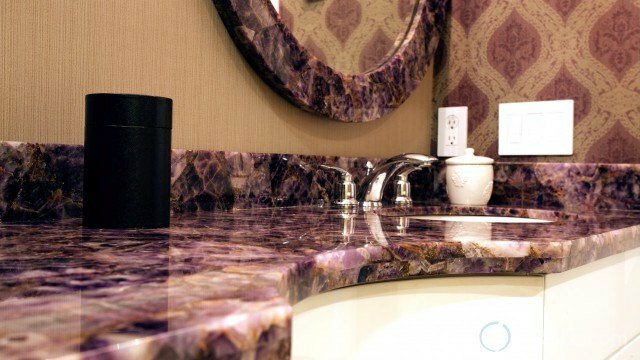 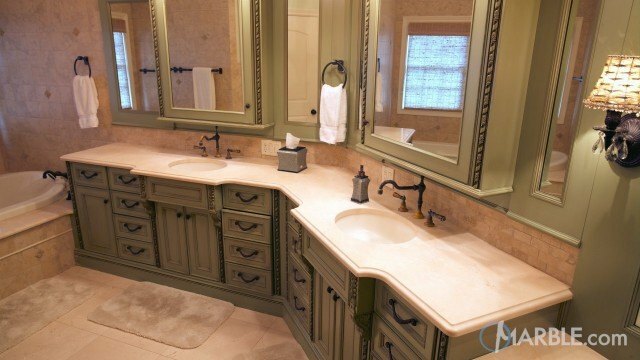 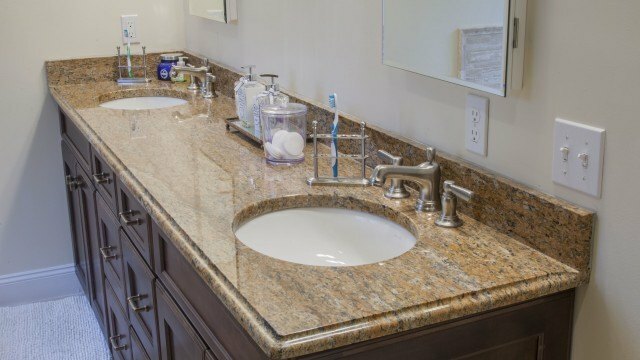 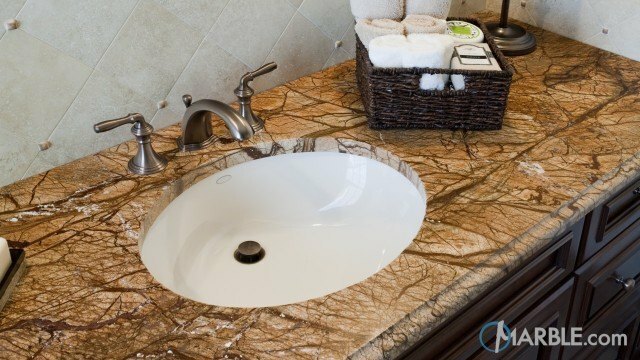 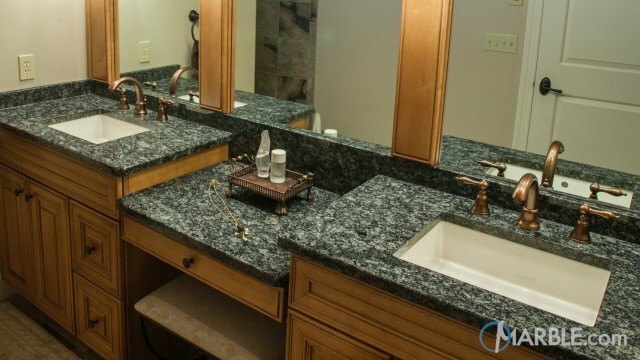 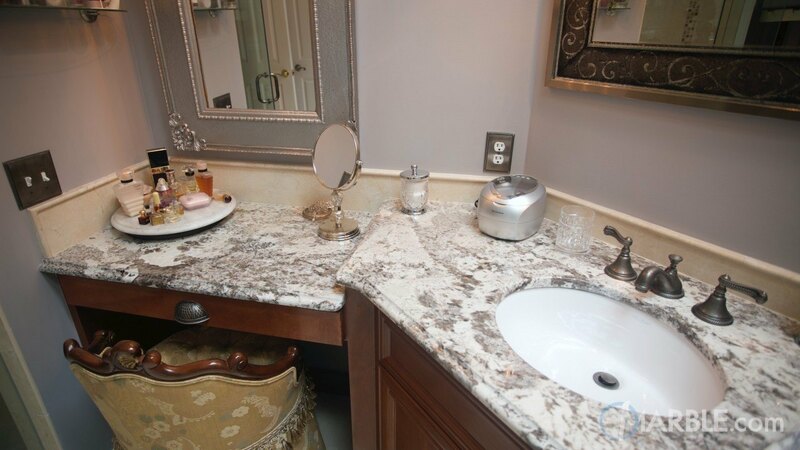 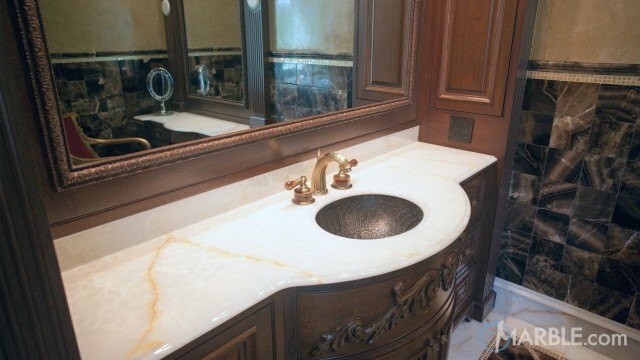 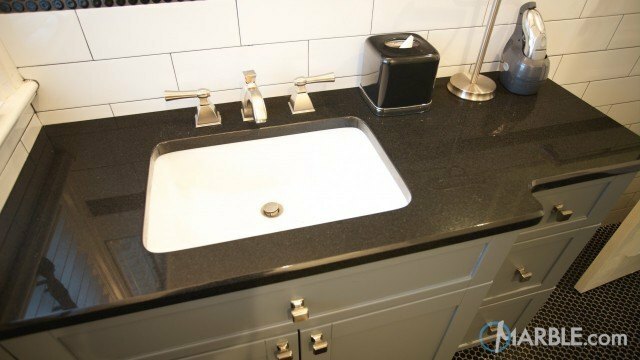 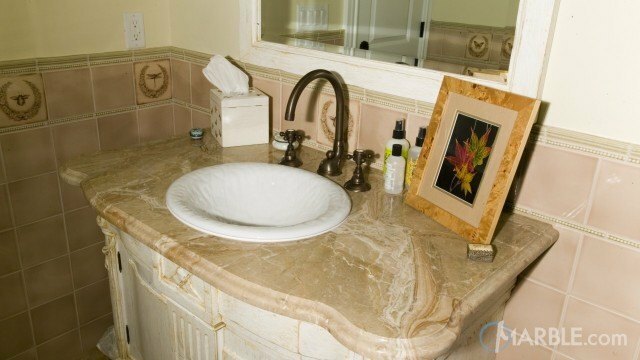 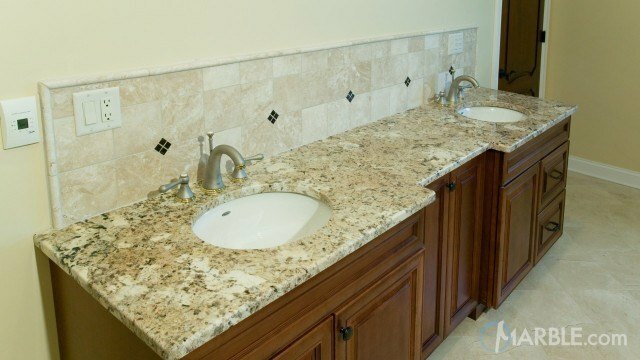 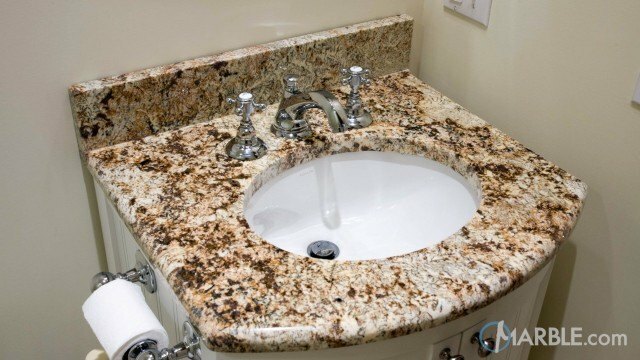 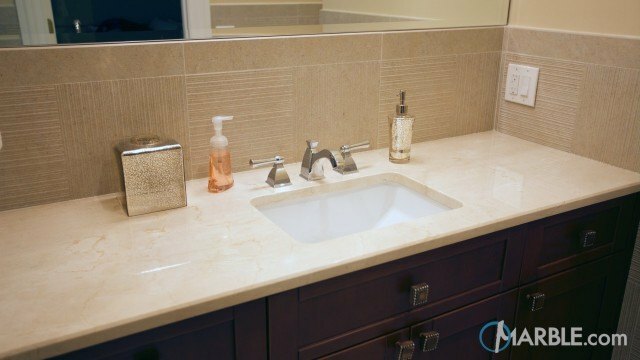 The Bianco Antico granite counter top with an Ogee Edge pulls this bathroom vanity together in a very cohesive manner. 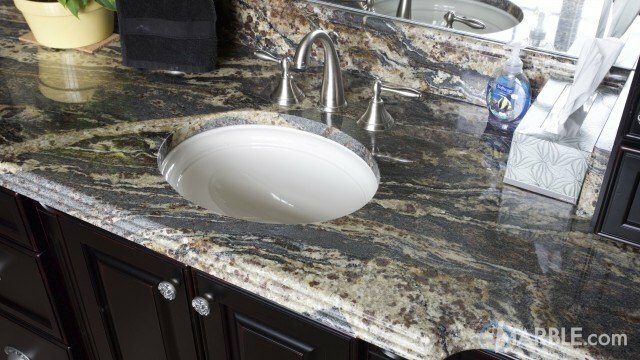 The granite is full of grays and whites and fits perfectly over the dark wood cabinets. 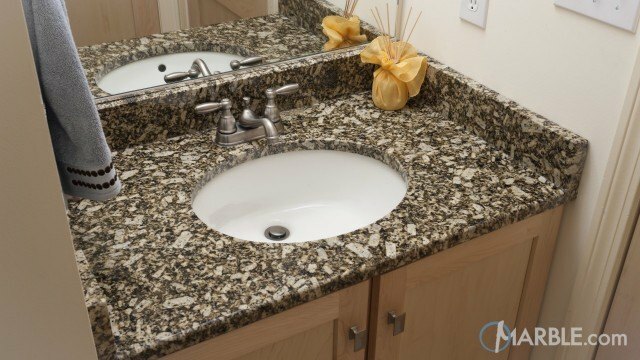 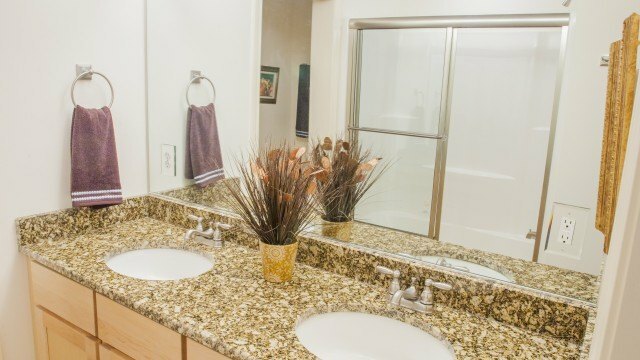 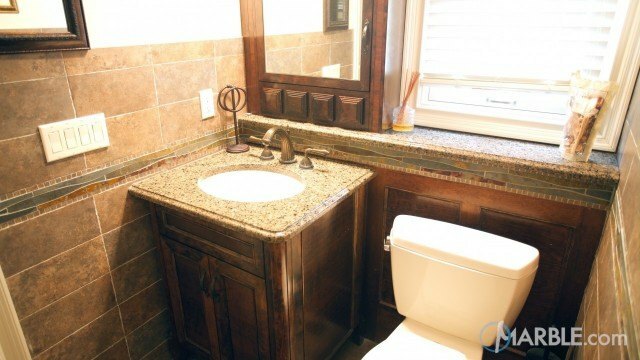 The fixtures and cabinet pulls complement the granite. 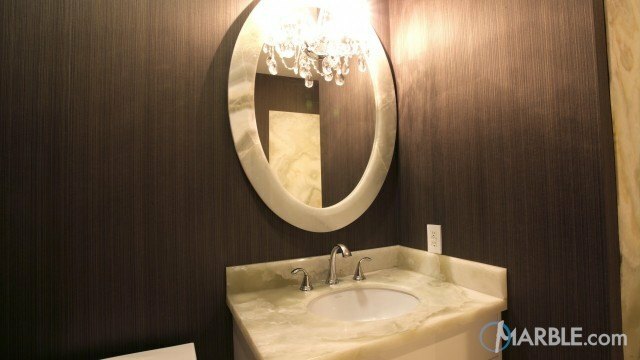 Everything comes together to create a dazzling room.